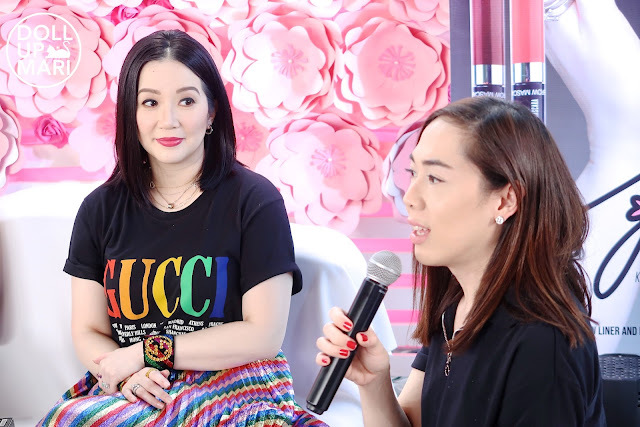 I'm sure anyone of you who isn't living in a cave by now knows how much people are raving over Kris Aquino's collaboration collection with Ever Bilena. 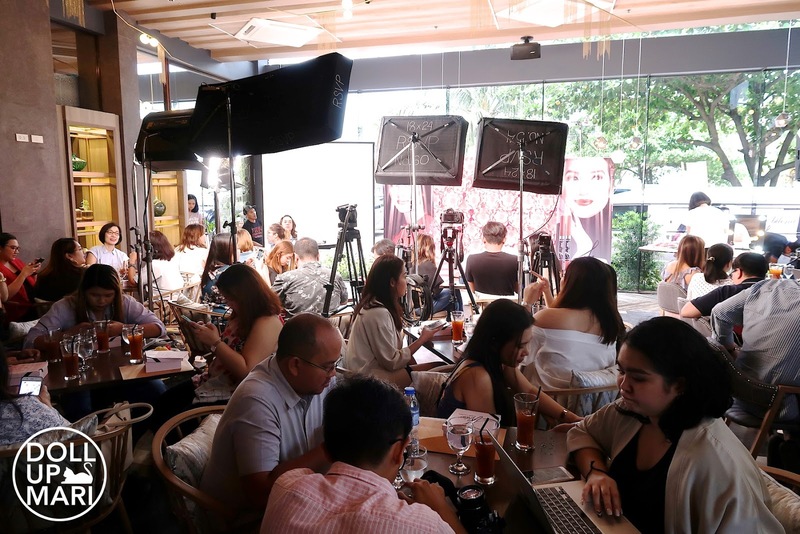 But for those who are wondering about how it's like to attend a product launch of products by the Queen of Media herself, then maybe this is the right post. If I remember correctly, there was probably about more than an hour, or even two hours of talk, from madam (Yes, it's what I call Kris coz my friends work for her and they all call her madam and I absorbed it as well). But well, it didn't even feel like it. Normally, we bloggers would be bored to death after 20-30 minutes of a program, but somehow, a lot of us didn't even notice that an hour had already passed by quickly. Such is the talent of madam. The venue was suuuuper cramped. Everyone was of course excited, with all the firsts combined for this event. 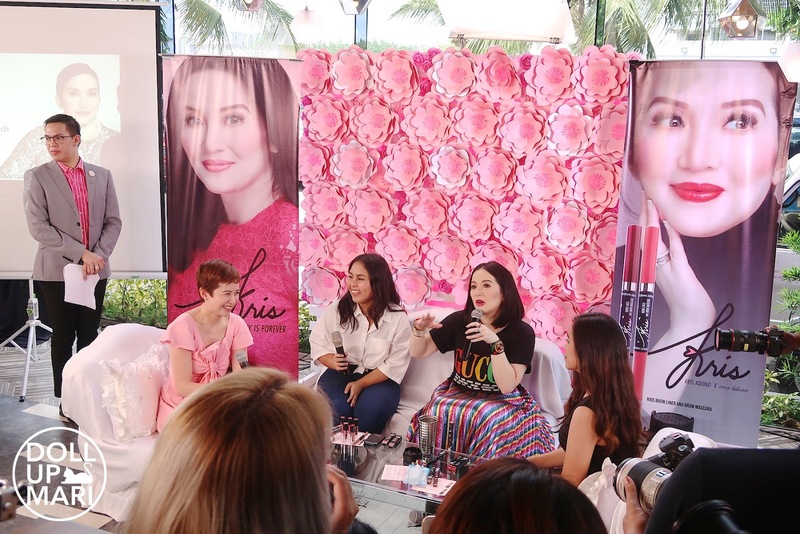 Madam's first makeup release, EB's first collaboration with anyone ever, and basically just the first time two big household names in the Philippines are coming together. I highly commend the EB team for pulling this off, as the day before, Careline also just had an event. Careline's event was scheduled on May 30, and originally, this event was for May 24. Schedule changes had it shifted to May 31. It's one of the first times I have witnessed a single company stage two big events just one day apart! Of course, as soon as madam arrives, all eyes are on her. Cameras clicking like crazy from all angles. 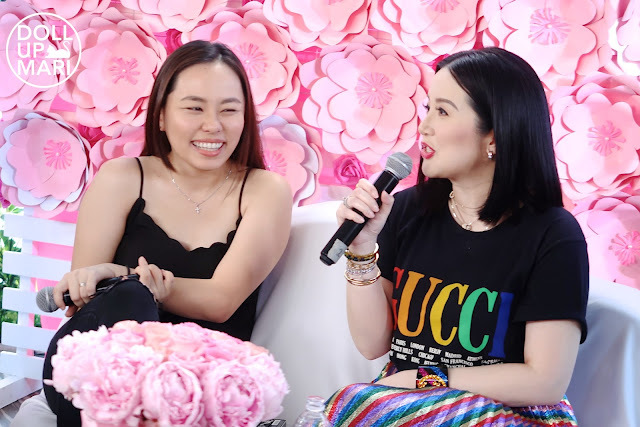 True to the Kris Aquino brand of effective advertising, she asks her team to bring her water from her own stash. She's had throat problems from her recent overworking, so her throat felt dry. She shares an anecdote of how she once drank water in a resto, got stick, vomited like crazy, and learned to bring her own water everywhere after that. Naturally, they bring out Healthy Family purified water. Once madam got her water and everything is settled, she asks Denice Sy, key accounts manager for Ever Bilena, to join her. Denice and Kris talk about how the collaboration ensued. There were house visits, negotiations, meriendas. Then came the more formal contract signing sessions. Each of them shared how they came to trust the other party for a collaboration. Madam of course has a reputation of an effective endorser to hold onto, and will not be caught dead with any subpar products bearing her name nor likeness. Ever Bilena, on the other hand, has never done any collaboration before, and they were worried and excited at the same time of how it might work. Madam shared (although I'm not sure if it's in this event or in some other interview), that they initially had their reservations over the collaboration. 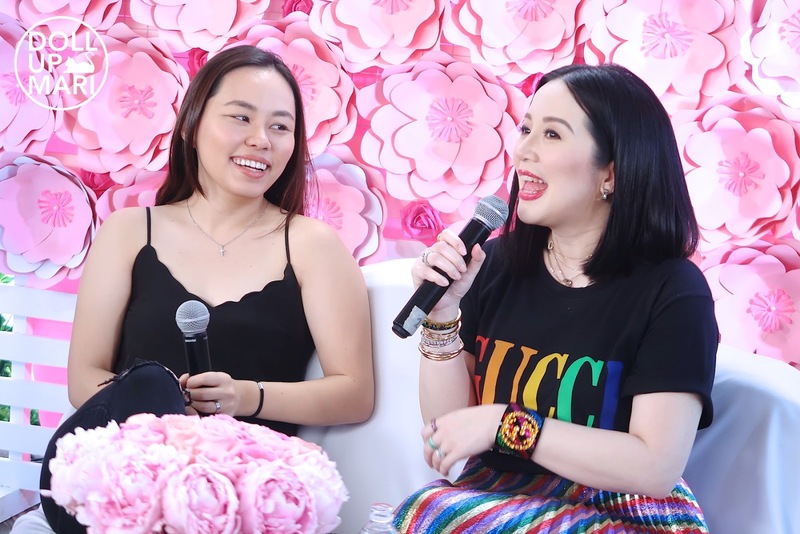 For one, lip tints are all the rage right now, and it was initially suggested that her collab should have tints. But madam personally doesn't like lip tints, and felt that it would be inauthentic to release lip tints with her name. She liked matte lipsticks, and lipsticks in general. 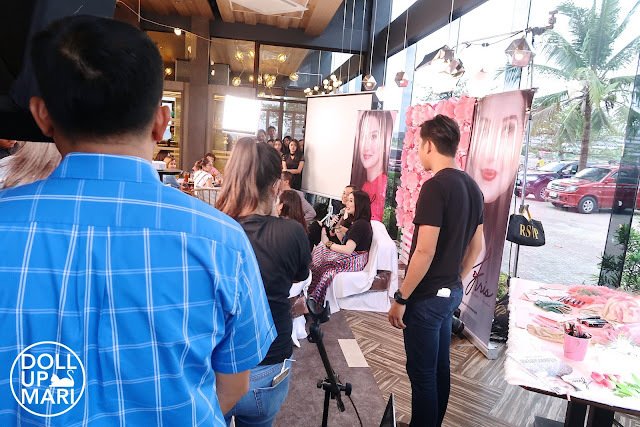 For the brows, she is also the first to release a brow mascara-brow pencil combination in the local market, because that's exactly how RB Chanco did her brows. She wanted people to be able to recreate her own brow routine, even if releasing a brow mascara to the mass market may not have been the safest move. 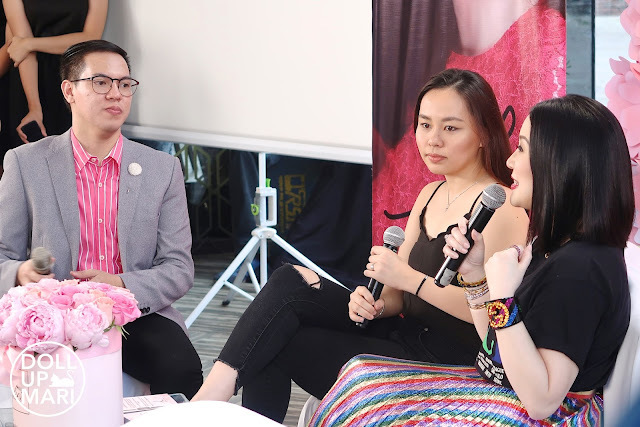 Dioceldo Sy, CEO of Ever Bilena, often told madam that there was a need to respect the market-- to release products that the market wants, not to release products that you want the market to want. The collaboration required a delicate balance of respecting the market, and making sure that creativity-wise, it was 100% madam. The other half of the time, Denice was just often laughing because madam had already spoilt almost all their plans for the latter half of the year. There will be BLUSHES. AND FACE POWDERS. YAAAAAAS KWEEEEEN. Madam is known for having bright pink blush, and I thought that she really should have blushes in her collection--thankfully, they're working on it right now. There was also a reveal about liquid lipsticks, and a reveal about all the other shades they're working on. Madam had given too much spoilers that I wasn't able to remember everything, but I am looking forward to her releasing the coral pink shade she had lined up. Madam also shared that while there are a lot of people asking her about highlighter, she just doesn't use highlighter and finds it non-sensible to release highlighters. She also wasn't keen on releasing shimmery blush, and sent blush prototypes back to the factory whenever they got too shimmery. As someone who has been in front of traditional TV cameras for so long, she is used to not using highlighter or shimmer as these two items make one look oily on cam. To add, RB is also one of the top contour experts, and can do matte highlighting techniques, so madam really doesn't have any need to release a highlighter. 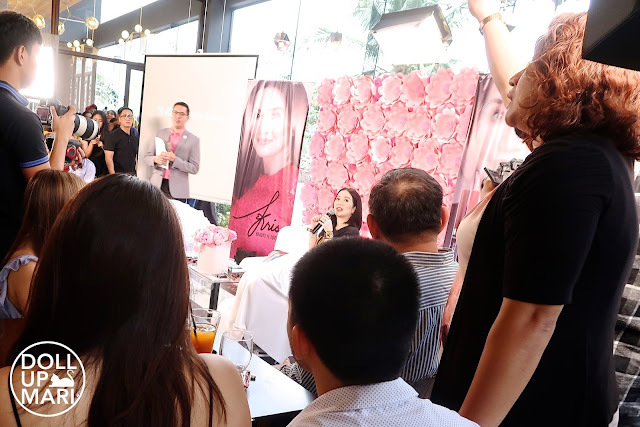 Madam also shared that there are discontinued Ever Bilena shades that she just loved so much that she will also be highly likely to release them in her own collection, but with new names. RB Chanco was of course also there to share her insights. RB shared that madam is an extreme makeup hoarder. Madam once went to Sephora with RB, and bought US$15,000 worth of makeup. The salesladies' jaws dropped and they tried to fathom how this lady could buy that much makeup. RB explained to them that madam is a celeb here, and showed them her millions of followers, and then the Sephora ladies understood why. 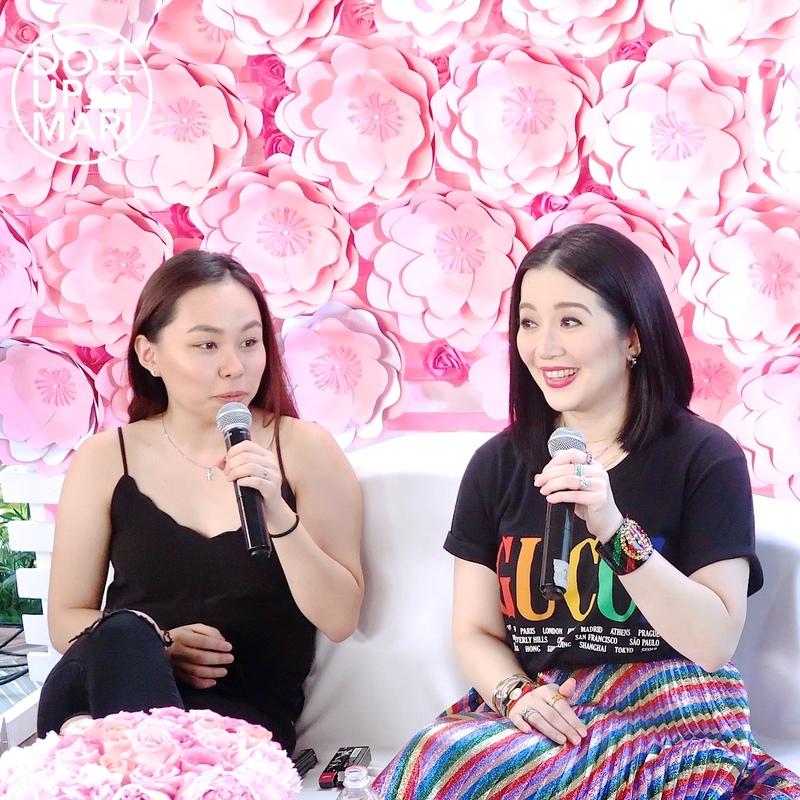 This led the two to share how a lot of the formulations for items in madam's collection are based off of high end items. Each item is more or less based on one specific high end item that madam really likes. They wanted to create products that had prices that were accessible to the masses, but were comparable to high end brands. In the last segment, madam wanted to share that when it came to developing shades, she was keen on making shades that look nice on everyone. They called on girls of different skintones from the audience to try it out and show that the shades look good on all of them. And yaaay, some pictures from the autdience! With Genzel, Bing, Andie, Joyce, Denice, and Olive. And a photo by the backdrop during egress. Can we fast forward to the blush release already? That's all.